Definition at line 2126 of file wininet.h. Definition at line 2130 of file wininet.h. Definition at line 2145 of file wininet.h. Definition at line 2141 of file wininet.h. Definition at line 2132 of file wininet.h. Definition at line 2144 of file wininet.h. Definition at line 2134 of file wininet.h. Definition at line 2133 of file wininet.h. Definition at line 2127 of file wininet.h. Definition at line 2131 of file wininet.h. Definition at line 2136 of file wininet.h. Referenced by CRYPT_GetObjectFromCache(), and test_urlcacheW(). Definition at line 2137 of file wininet.h. Definition at line 2135 of file wininet.h. Definition at line 2138 of file wininet.h. Definition at line 2140 of file wininet.h. Definition at line 2142 of file wininet.h. Definition at line 2129 of file wininet.h. 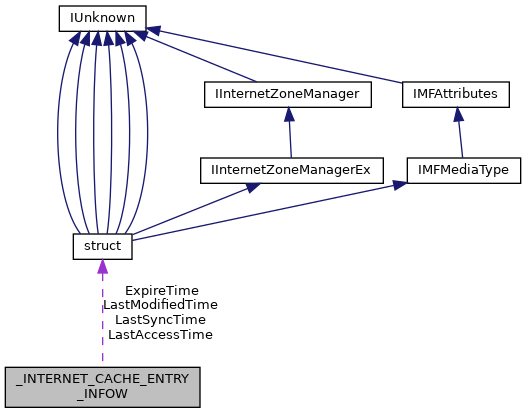 Referenced by CRYPT_GetObjectFromCache(), RetrieveUrlCacheEntryStreamW(), and test_urlcacheW(). Definition at line 2128 of file wininet.h.